Our volunteers play a vital role across many of our projects. help at weekends, or from home in the evenings. We are very flexible, and happy to discuss how and when you can volunteer. To apply to volunteer with us, please complete the form below. 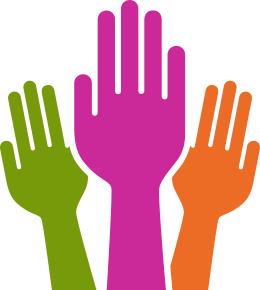 Community listener/outreach volunteers – particularly those with additional languages other than English. People looking to help teach basic IT skills. Communications volunteers with photography, video and/or social media skills. Patient and service user representatives. Face-to-face engagement at stalls and events. Helping people improve their IT skills at Coffee and Computers training sessions. Minute taking and meeting support. Publicity – leaflet and poster distribution.